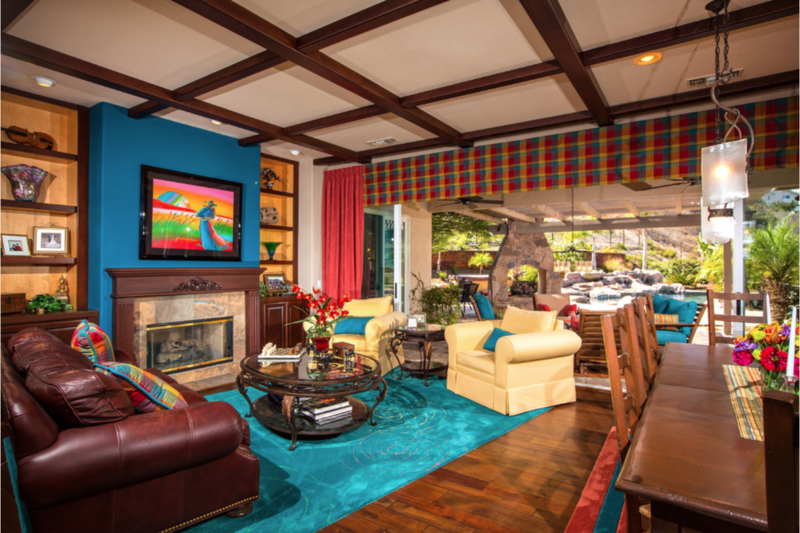 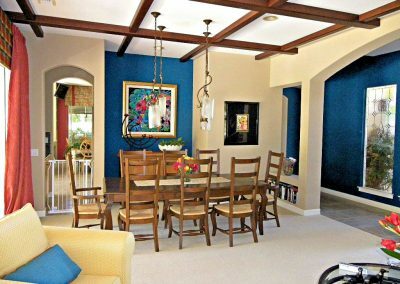 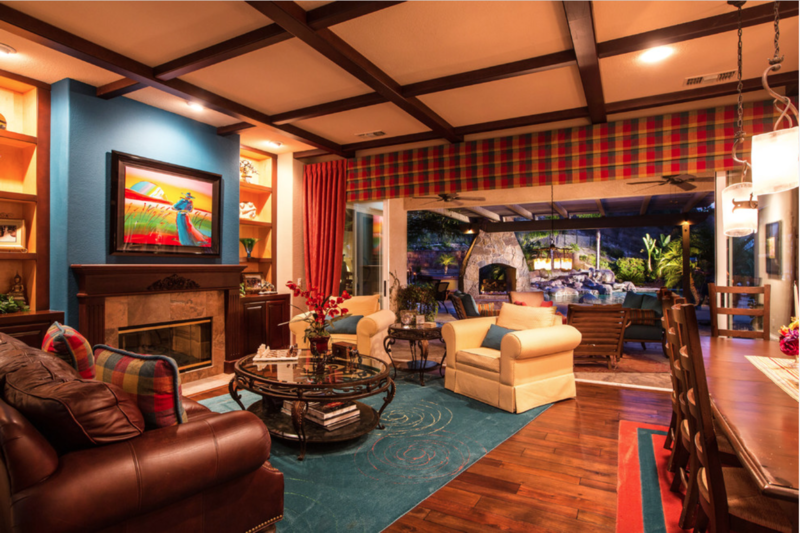 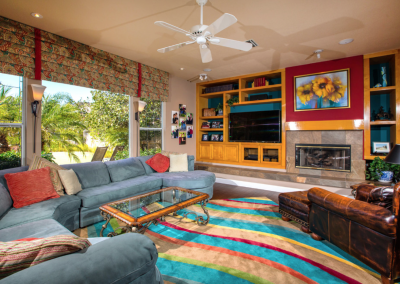 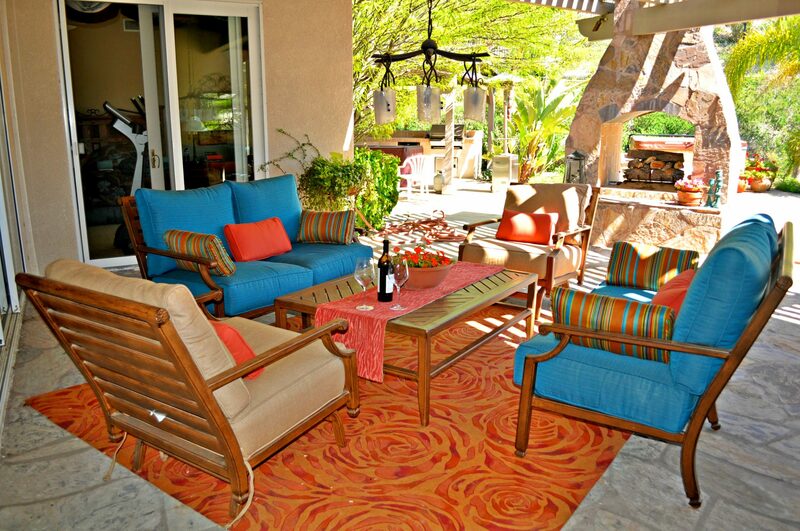 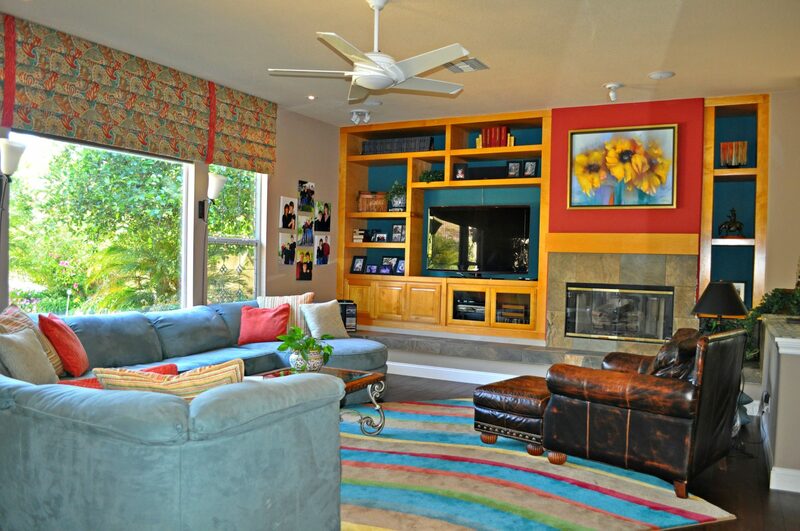 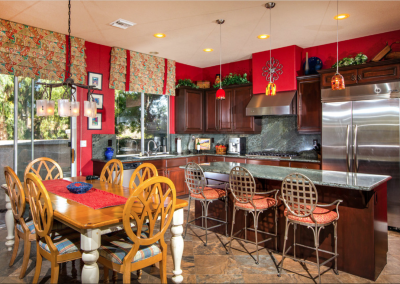 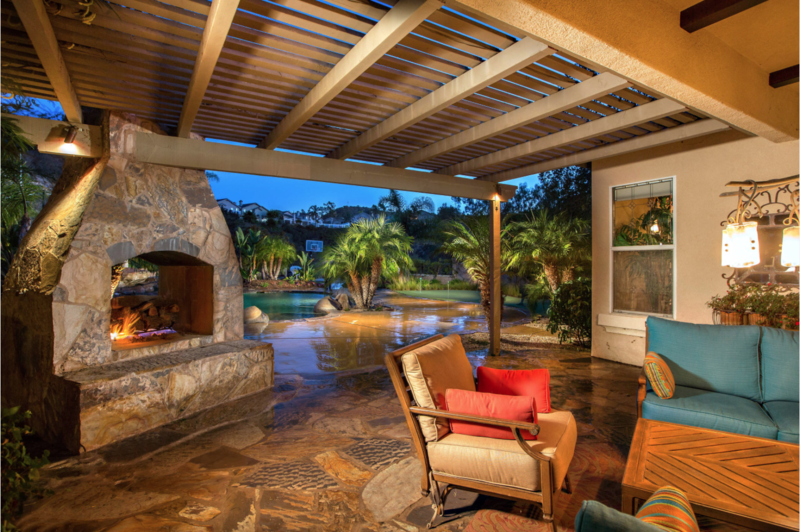 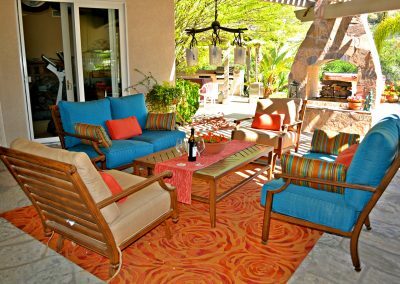 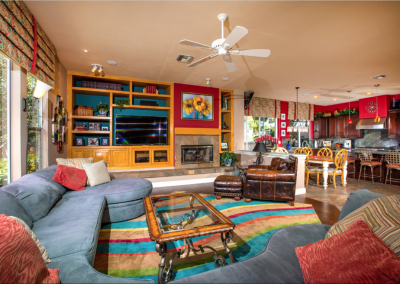 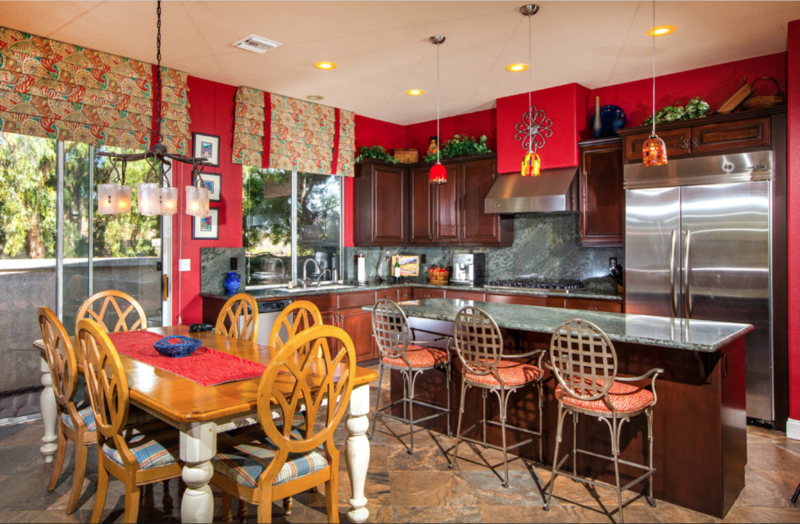 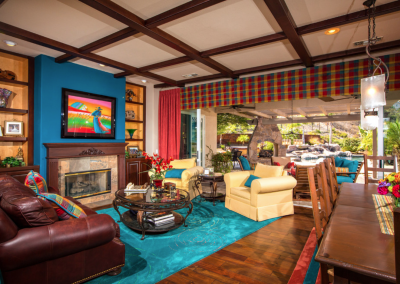 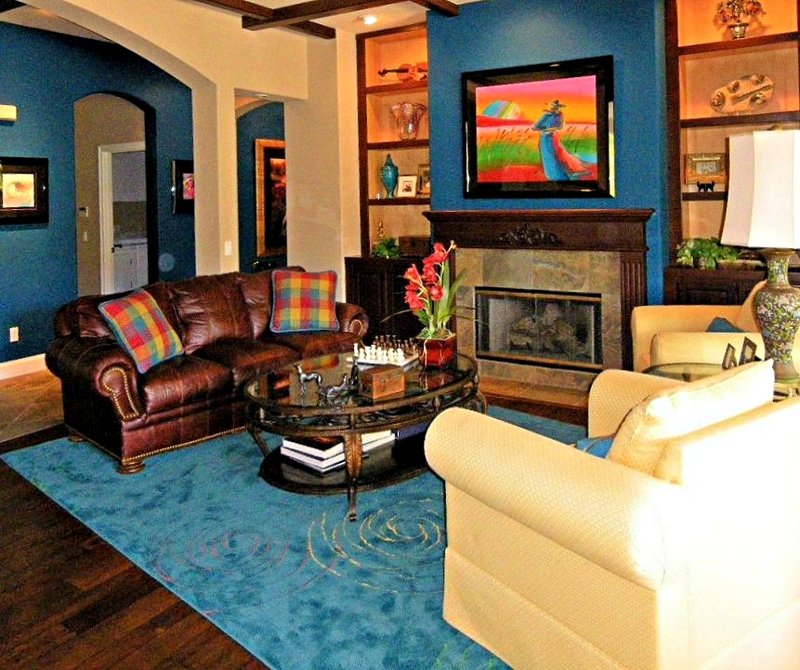 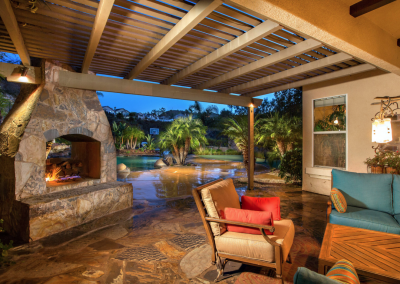 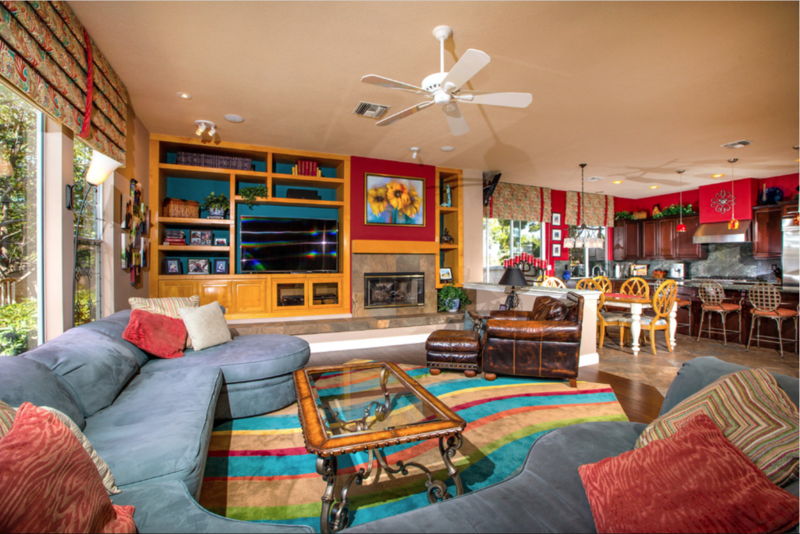 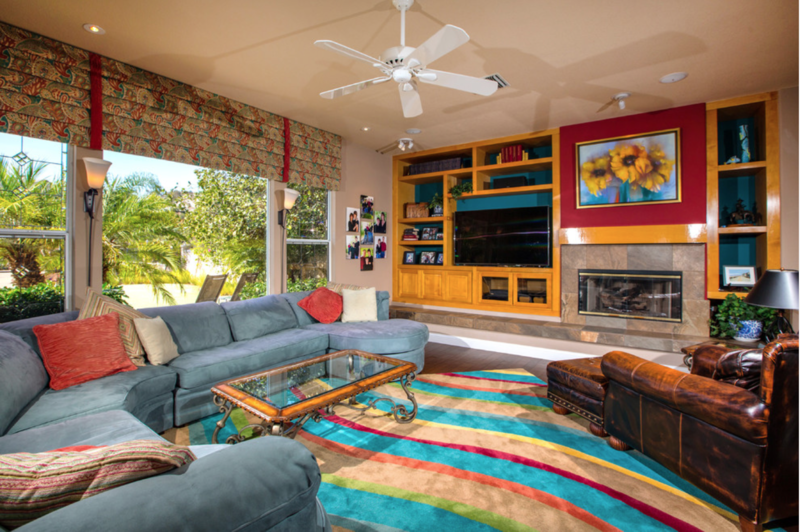 This is a colorful home remodel in Scripps Ranch area of San Diego. 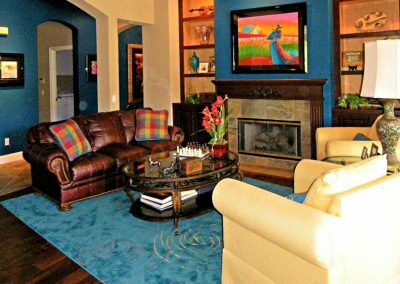 The owner’s favorite piece of art is featured over the fireplace, and is used as the color palette for the rest of the room. 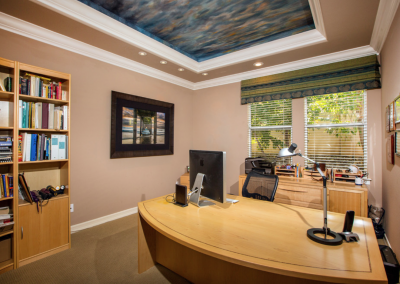 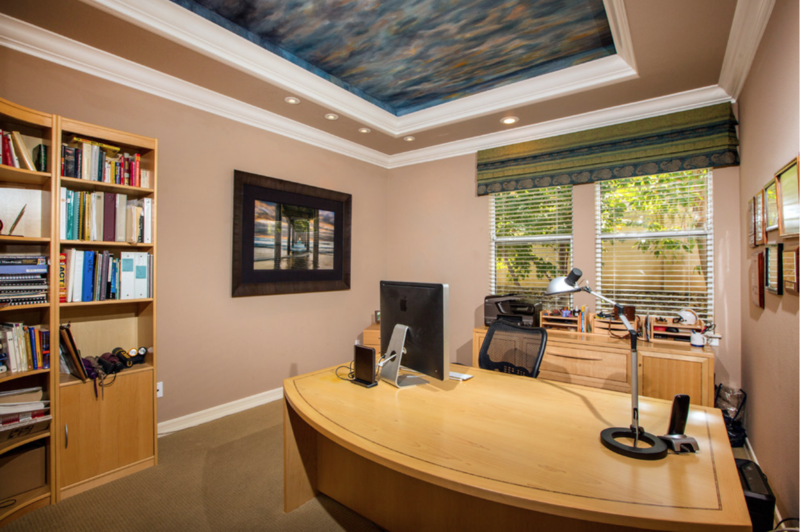 The home office features a faux painted sky, that changes appearance depending on the intensity of the indirect LED lighting hidden in the crown molding. 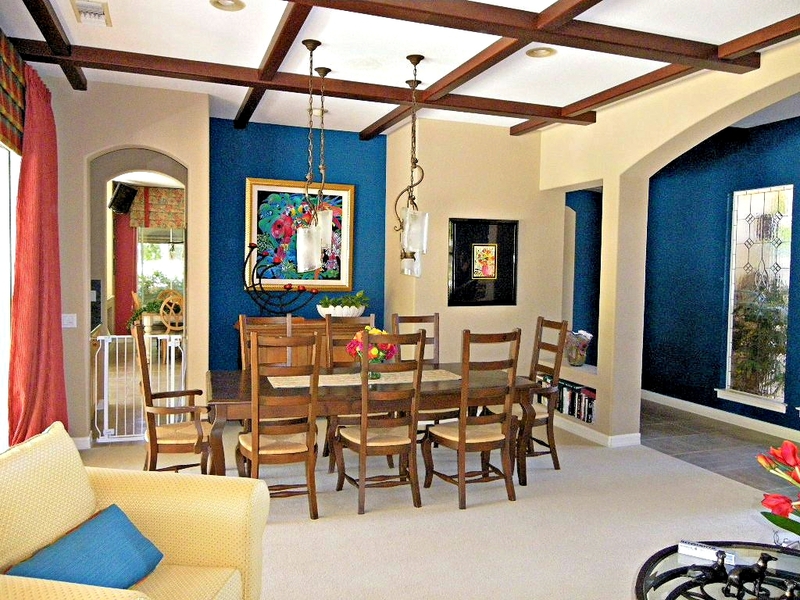 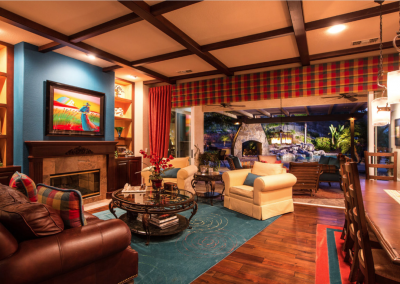 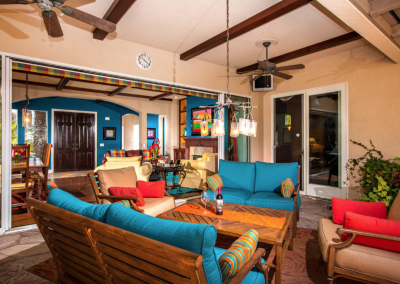 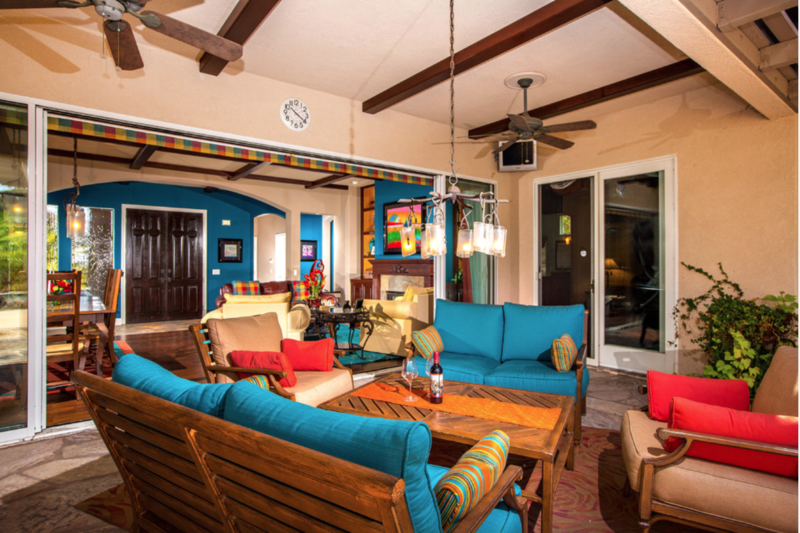 The living room and dining room have coffered ceilings, with contrasting beams. 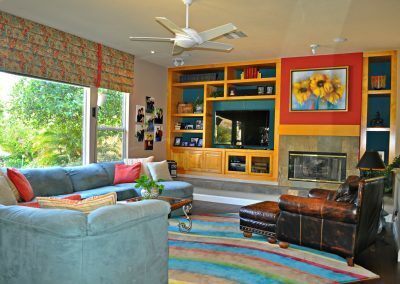 Design by Coleen Choisser of Anna Rode Designs.